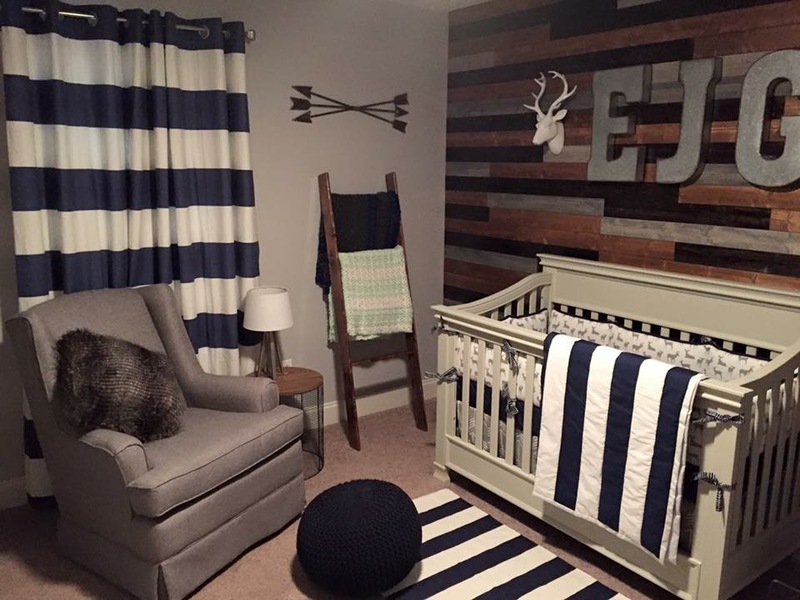 We intended to keep Emerson's nursery "simple" with just a grey, navy, and white theme; however, my husband fell in love with the wood pallet wall idea on Pinterest and our design took more rustic approach--for the better I'd say! Lots of DIY, surfing Pinterest, and meshing of ideas later... We ended up with a Rustic Woodland theme mixing classic, contemporary, and rustic style for our little man's nursery! Hello! I’m the Social Media Coordinator for Best Home Furnishings Storytime Series and we’re so happy you chose our glider for your nursery. We would love to feature this room on our social media sites. Please email me at [email protected] if you are interested! Thanks so much! Love this nursery! How did you complete that wall? That’s exactly what I’d like to do but we have other construction going on at our house so I don’t want to give my husband too many time consuming tasks! Hello! Beautiful nursery! ❤️ My daughter is due in December and it’s her first baby! She sent me this link because she lives the blanket and said, “Mom…help me find this blanket”! Lol. I saw u listed this blanket as DIY. Would you please let me know how you made this blanket or the site I can go to for details? Thank you so much!